Make your next Los Angeles concert a stress-free experience. Ross Limo is an elite limousine company dedicated to providing first-class limo experience that is based on safety, reliability and most importantly superior customer service. No matter how many people are in your group, we have the luxury limousine package to accommodate you. We will get you to your concert on time – every time. 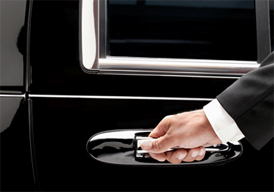 Let us provide you with our signature door-to-door service. Avoid looking for parking, paying for valet, and walking at night from and to your car. Ride in luxury instead, and enjoy a few drinks before arriving in style to Staples Center, Hollywood Bowl, or any other venue hosting the concert. Depending on the vehicle of choice, we can offer per hour pricing and or fixed all-inclusive prices. Our team is standing by 24 hours a day to respond to all of your concert limousine needs in Los Angeles.